China Airlines will introduce non-stop direct flights between Taipei and Ontario (ONT), California, from Spring 2018. The airline will use a Boeing 777-300ER on the route four times a week and give passengers a much greater choice when travelling to and from California. Traffic demand between the Asia-Pacific region and the US. 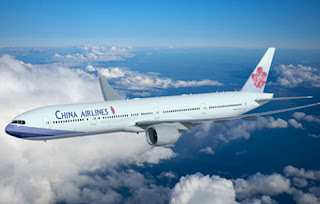 is forecast to grow by 6.1% per year so the new route has strong potential for China Airlines and should foster closer ties between Taiwan and the US. This new route will also save passengers a good deal of time when heading for the incredibly popular coastal tourist destination of San Diego. China Airlines Chairman Nuan-Hsuan Ho and Ontario International Airport President Alan Wapner took part in a signing ceremony held in California to mark the unveiling of the new route. Chairman Ho said that China Airlines is the first Asian carrier to introduce regular services to Ontario. "This will also be the second route to offer non-stop services between Taiwan and the Greater Los Angeles region of California after China Airlines began flying to Los Angeles in 1971. Flight frequency will be increased to one flight a day during peak season depending on market demand. " According to the US National Travel and Tourism Office as of April 2017, travellers from Asia accounted for 32.8% of all tourists to the country and IATA predict a growth of over 6% over the next five years.